Food and fashion seem to be the first two things to come to mind when we dream of Paris. I was reminded of this truism yet again this past week. A friend, off to Paris next month for the first time in many years, emailed to ask if I’d share some of my favorite restaurants. I immediately sent her a note suggesting that she check out my website and click on the Paris tab at the top to see the current food venues I love in the City of Light, including both Sola and Le Casse Noix, two recent discoveries. Yes, everyone goes to Paris to eat divinely. And, for some, looking their best while taking a sip of soupe à l’oignon gratinée or biting into a glorious millefeuille is de rigueur. My septuagenarian pal definitely belongs to the latter contingent. 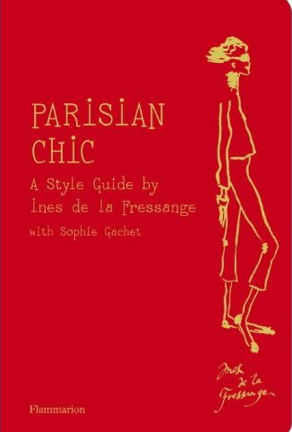 She has already ordered a copy of Parisian Chic!